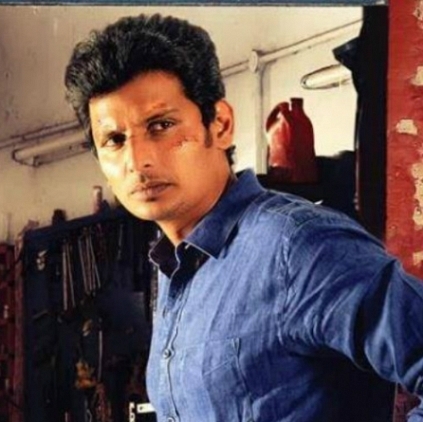 Jiiva’s second movie of the year after Pokkiri Raja, Thirunaal is releasing today, the 5th August. As a sweet coincidence, we’ve also received news that he has signed up for his next with Sarabham director, Arun Mohan. The film’s first look poster has been revealed today by the director on Twitter and the movie has been titled Nenjamundu Nermaiyundu. The movie is being bankrolled by Kothandapani Films who are also the producers of Thirunaal. Shooting for the film is all set to start soon. The movie can be expected to be a thriller, as suggested by the title and given the previous record of director Arun Mohan. Vijay’s remake to clash with Vijay 60? People looking for online information on Jiiva, Nenjamundu Nermaiyundu will find this news story useful.